Condo sales were lukewarm in the first half of 2018, as only 537 residential units traded in the top 10 best-selling buildings in New York City. By comparison, that’s 130 units short of the number sold in just one building last year. Only four buildings posted triple-digit median sale figures in Manhattan and one in Brooklyn. Brooklyn had five buildings among New York City’s top ten best-selling, with Queens and Manhattan having each three, for a total of 11 since there was a tie for the 10th place. The first two buildings that sold the most units in the first half of 2018 were in Queens, and the third position was occupied by Steiner East Village in Manhattan. Queens’ The Grand at Sky View Parc sold the most units in NYC, with a total of 98, followed by Dutch LIC (66). In Manhattan, 64 units traded for a median of $2.3 million, landing Steiner East Village the third spot. At $5 million, the most expensive median sale price was registered at 160 Leroy St. in Manhattan. Median sale prices were mixed for the other buildings, and even surprisingly low in some cases. 1255 Bushwick in Brooklyn registered a median of $501,930 and Verona Condominium in Queens had a median price of $752,030. Check out the complete ranking of New York’s top 10 best-selling buildings in 2018 below. Built in 2015 and located in Downtown Flushing, The Grand at Sky View Parc is one of the largest mixed-use developments in Queens. The building encompasses 248 luxury condo units from studios to three-bedroom residences, and a wide range of amenities, including a multi-level retail space, landscaped rooftop garden, swimming pool, a supermarket, to name a just few. The Grand at Sky View Parc was #1 in our 2017 yearly top, as well. Located in Long Island City, 66 units were sold in Dutch LIC over the course of 6 months. Each unit is equipped with luxury finishes and state-of-the-art features, while common area amenities include a spacious lobby, tenant lounge, landscaped roof terrace and fitness center. A Food Cellar supermarket, a wide array of coffee shops, restaurants, book stores and the N/E/M/G/W/7 subway lines are minutes away of the property. The luxury condominium building is situated in East Village, and features design-driven residences which include bronze window frames and seven-inch-wide plank European white oak flooring, high interior doors with burnished brass hardware and custom Italian cabinetry in kitchens and baths. The complex also boasts a library, swimming pool and fitness center. 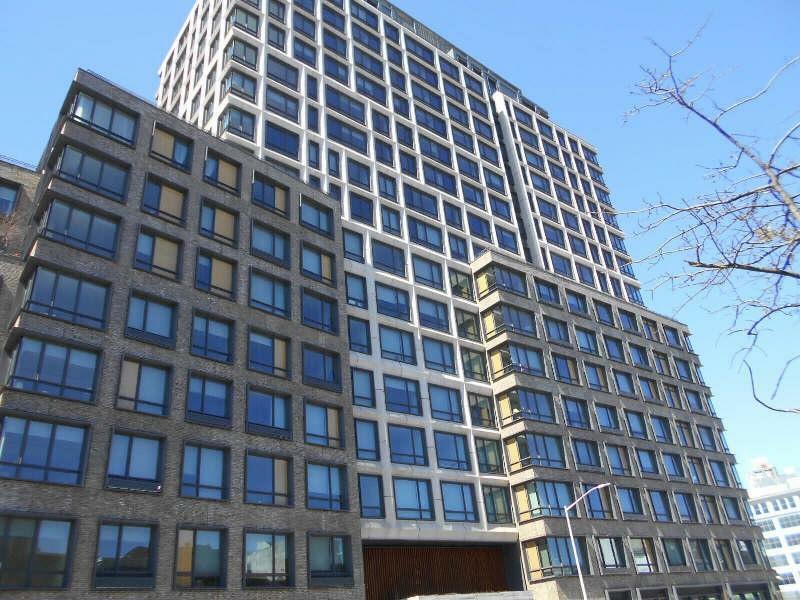 At $5 million, the condos sold at 160 Leroy St. had the most expensive median sale price out of our top 10 list. Located on the banks of the Hudson river in West Village, the luxury building boasts a plethora of common amenities and state-of-the art interior finishes. Properties considered for this list include only new developments. This represents an adjustment of the methodology used for previous editions of our top 10 best-selling buildings lists, where we included all residential condos regardless of year built. For this edition, we counted all sales closed between January 1st, 2018 and June 30, 2018.